In one of the most eagerly anticipated categories Lufthansa successfully defended the title of Europe’s Leading Airline, while Europe’s Leading Tourist Board went to Turismo de Portugal. Divani Apollon Palace & Thalasso took the title of Europe’s Leading Spa Hotel, while Europcar took the prestigious title of Europe’s Leading Car Rental Company for an unprecedented twelfth consecutive year. World Travel Awards President Graham Cooke said: “It was a fantastic night for our winners, congratulations to them all. This is our first visit to Greece and Divani Apollon Palace & Thalasso have done a wonderful job in hosting our Europe Gala Ceremony; they should be tremendously proud of their achievements. Also claiming top prizes on the night were Frasers Hospitality, which walked away with the trophy for Europe’s Leading Serviced Apartment Brand, and the Conrad Algarve in Portugal, which was voted Europe’s Leading Luxury Resort. The evening was hosted by Greek celebrity presenters Thodoris Koutsogiannopoulos and Mary Sinatsaki, while a stellar line up of entertainment featured Greek pop-rock sensation Onirama and a performance from the Dora Stratou Greek Dancers. Divani Collection Hotels Marketing Director Niki Fotiou added: “Hosting the World Travel Awards has been an honour for Divani Collection. Through our relationship with the organisation we have been able to showcase our hotel to an elite European audience, while also presenting the best of Greek hospitality. 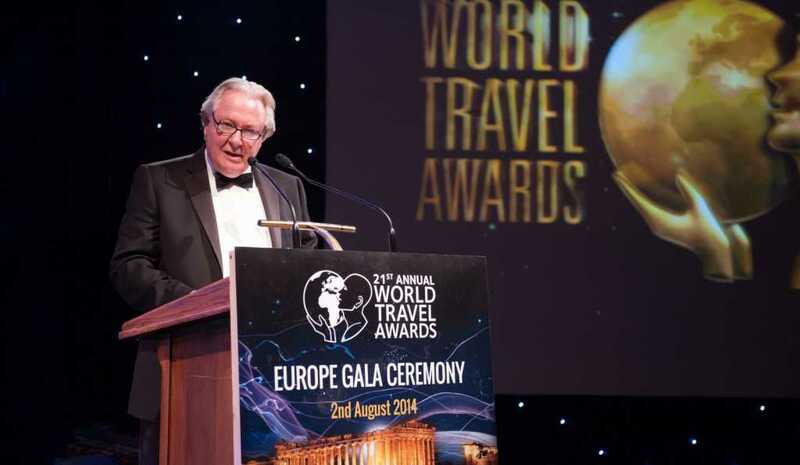 World Travel Awards celebrates its 21st anniversary in 2014, with the Europe Gala Ceremony the second stop on the annual Grand Tour. The tour visited Dubai earlier this year, stopping off at the JW Marriott Marquis, and will now head to the Centro Cultural Itchimbía, Quito, Ecuador, for the South & Central America Gala Ceremony on August 9th. A full list of winners can be viewed at worldtravelawards.com/winners.